"Willy, your book will change the world!" Bleecker Street Films has debuted another official trailer for the indie drama Colette, which first premiered at the Sundance Film Festival this year. 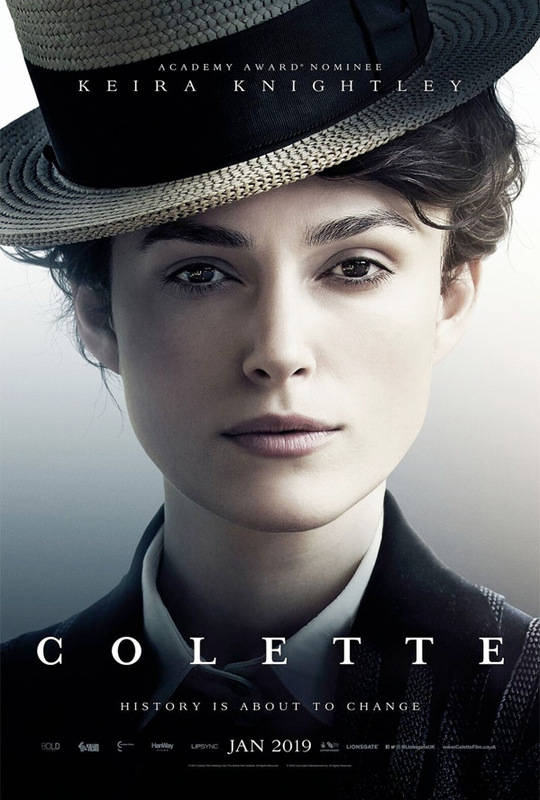 Colette is the latest film by filmmaker Wash Westmoreland (Quinceañera, Still Alice) and it stars Keira Knightley as a talented author. She marries a successful Parisian writer, who asks her to help ghost write for him. The novel she writes becomes a huge success, but she struggles to make her name known as the original writer, fighting against gender norms and stereotypes from the time. Also starring Dominic West, Eleanor Tomlinson, Fiona Shaw, Ray Panthaki, Aiysha Hart, Denise Gough, Robert Pugh, and Masayoshi Haneda. Colette is now playing in select US theaters, opening in more cities soon - check your local art house theater. You can still watch the first official trailer for Westmoreland's Colette here, to see a bit more footage. After marrying a successful Parisian writer known commonly as "Willy" (West), Sidonie-Gabrielle Colette (Knightley) is suddenly transplanted from her childhood home in rural France to the intellectual and artistic splendor of Paris. Soon after, Willy convinces Colette to ghostwrite for him. She pens a semi-autobiographical novel about a witty and brazen country girl named Claudine, sparking a bestseller and a cultural sensation. After its success, Colette and Willy become the talk of Paris and their adventures inspire additional Claudine novels. Colette's fight over creative ownership and gender roles drives her to overcome societal constraints, revolutionizing literature, fashion and sexual expression. Colette is directed by English filmmaker Wash Westmoreland, director of the films The Fluffer, Quinceañera, The Last of Robin Hood, and Still Alice previously, as well as many music videos. The screenplay is written by Richard Glatzer, Rebecca Lenkiewicz, Wash Westmoreland. The film premiered at the Sundance Film Festival earlier this year. Bleecker Street will release Colette in select theaters starting September 21st this fall. Thoughts?